This book offers models for institutions to move intentionally toward intersections – of study abroad and multiculturalism, of race and gender and religion, and of other essential aspects of our educational programs and our students’ identities – to open doors to new possibilities that better prepare our students for life in a diverse world, and that allow our institutions to become more efficient and effective as we strive to not simply do things better in our own separate spheres, but to do better things by working together across difference. Each chapter offers action-oriented analysis focusing on particular campus intersections, rather than attending to specific demographic groups. Chapter authors also build on their own local expertise of doing this work on campuses that often do not have deep pockets or rich histories of such efforts. * People focuses on diversity broadly defined, considering questions about how we recruit and engage the students, faculty, and staff in the campus community, and how we work with governing boards and others to promote inclusive excellence. * Environment focuses on inclusion, including residence life, the local community, the working and learning environment, and external factors and events such as national and international news or town gown relationships. * Learning focuses on perspective taking and learning about difference in the core curriculum, the disciplines, and the co-curriculum, as well as professional development for faculty and staff. This ground reaking book helps readers, no matter what position they occupy on campus, to develop the knowledge and capacities necessary to create inclusive classrooms and is premised on the understanding that identity, oppression, power and marginalization cannot be addressed by looking solely at single identities. "The 'next phase' of diversity in higher education pushes institutional objectives beyond mere tolerance of cultural difference. Barnett and Felten have pulled together a timely resource for campus leaders that recognizes the multidimensionality of students' identities and the imperative for institutions to pursue an intersectional approach to diversity on campus." 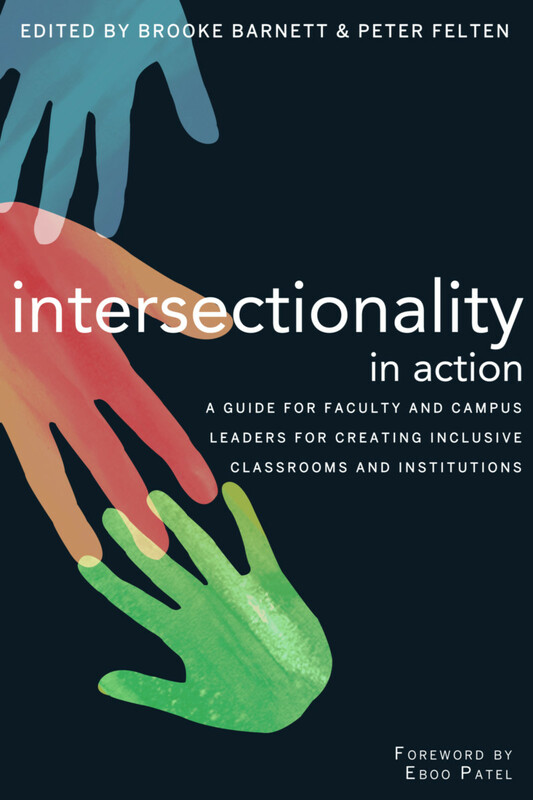 “Intersectionality in Action is a great resource for college faculty, administrators, board of trustee members and others committed to creating and sustaining inclusive campus communities and learning environments. This book is an excellent one for strategic planning committees; staff development workshops; graduate school courses; and for guiding campus conversations and responses to the ever-present question ‘how do we create a campus community where all members' individual identities are recognized and supported?’"
"Far from standing as ivory towers, colleges and universities are frantically busy intersections marked with intermittent lights and poorly designed signs. This book offers directions that allow us not merely to make it through those intersections but to make the most of the possibilities they offer. It is a wise, humane, and encouraging book for all who stand at sometimes bewildering crossroads." Brooke Barnett is Associate Provost for Inclusive Community and Professor of Communications at Elon University, where she leads university efforts in diversity and global engagement and cultural and special programs. Her research focuses on mass communication law, media effects and diversity and inclusion on college campuses.